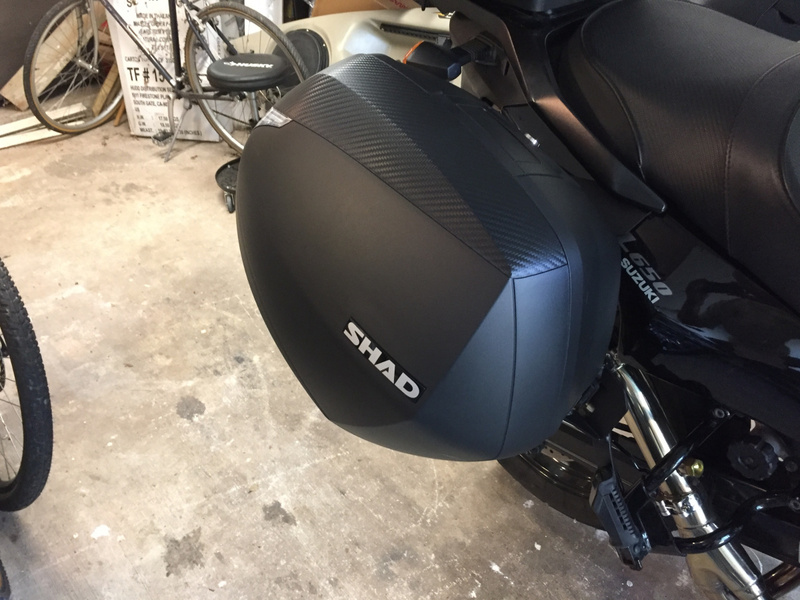 My large shoei rf1000 would fit, but you had to futz with it to get it in just the right position. 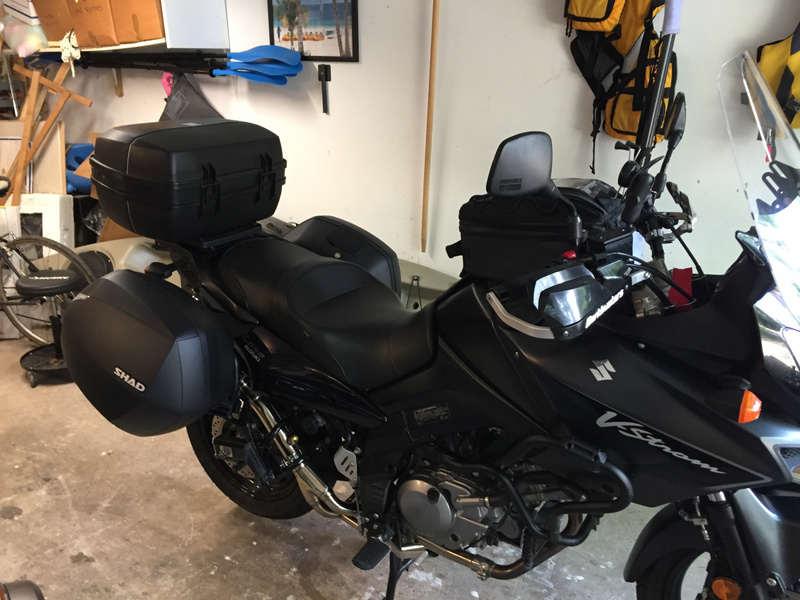 I always have a top box on my bike and side loading cases work better with the top box. I ended up going with a pair of Shad SH36s from Adventuretech. Thanks a lot to Rick and Gloria. Really simple install on the mount. 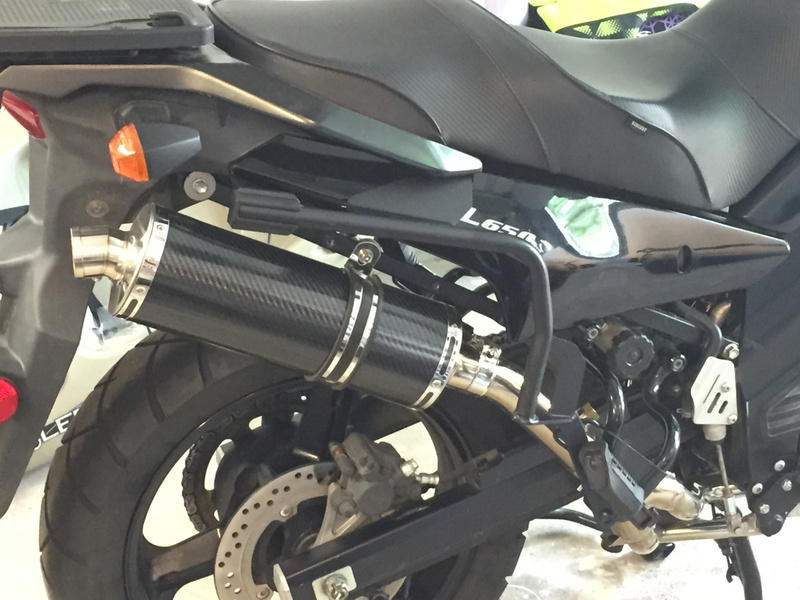 The mount is so clean that you have to look hard to tell it's on the bike. 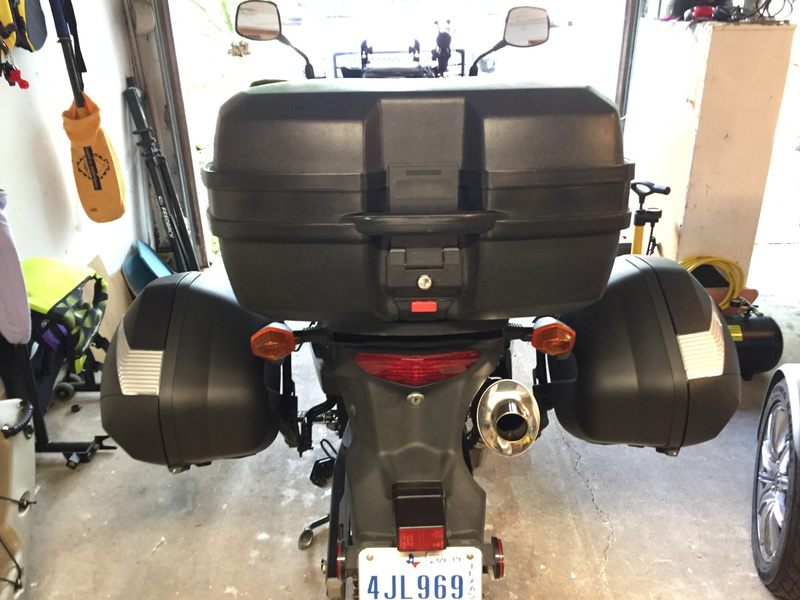 My re-install for the base plate adapter for the 45L Givi top box was another story.